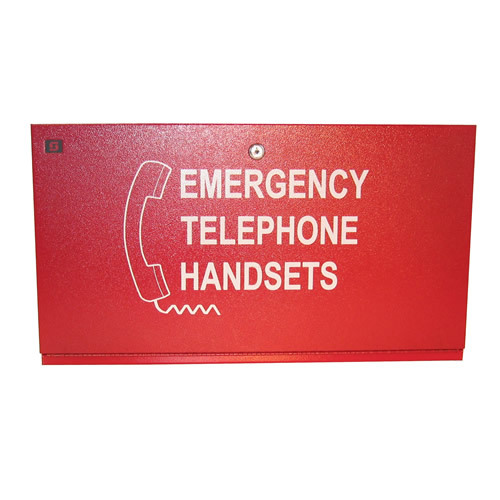 White 1" indelible lettering "EMERGENCY TELEPHONE HANDSETS"
When mounted alongside an "As Built" Drawing Cabinet (SSU00677) the firefighter can locate a phone and the "as built" drawings all in one location. 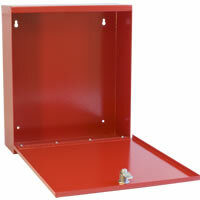 This surface mount cabinet is fabricated from 16 gauge steel with a durable, baked on, red textured powder coat finish, white 1" lettering and features a stainless steel piano hinge and a high security CAT 30 keyed door lock. 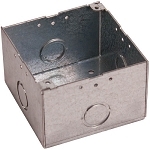 The FPC Firefighter Phone Cabinet offers convenient storage of Portable Handsets. 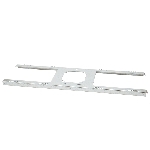 Model SSU00566 is designed for 5 telephone handsets. 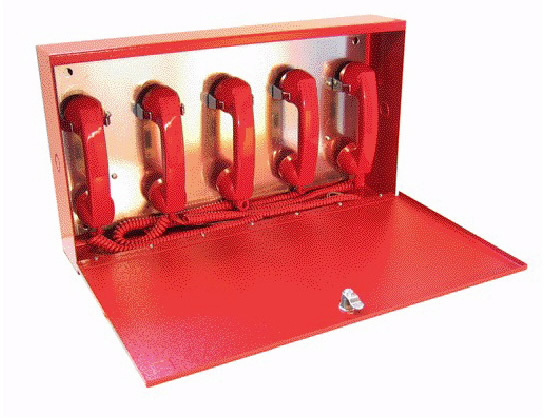 A: In the description below the photo is "The FPC Firefighter Phone Cabinet offers convenient storage of Portable Handsets (SSU00550 & 551). This "A" size is designed for 5 phones. 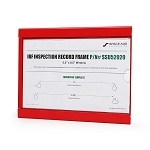 (phones not included)"
You can put those part numbers into the search box at the top right of every page and find what you are looking for.